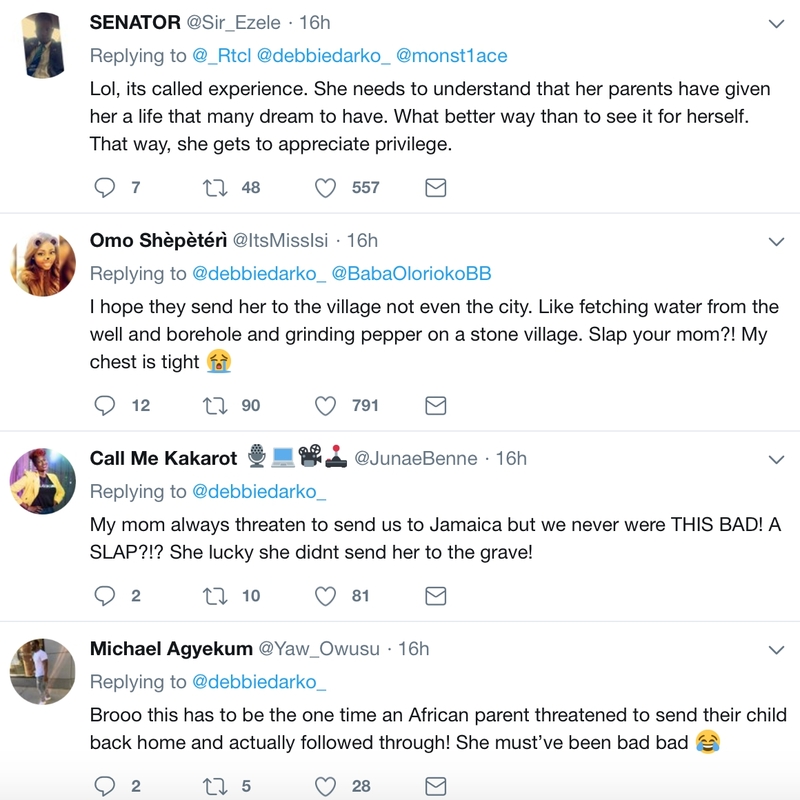 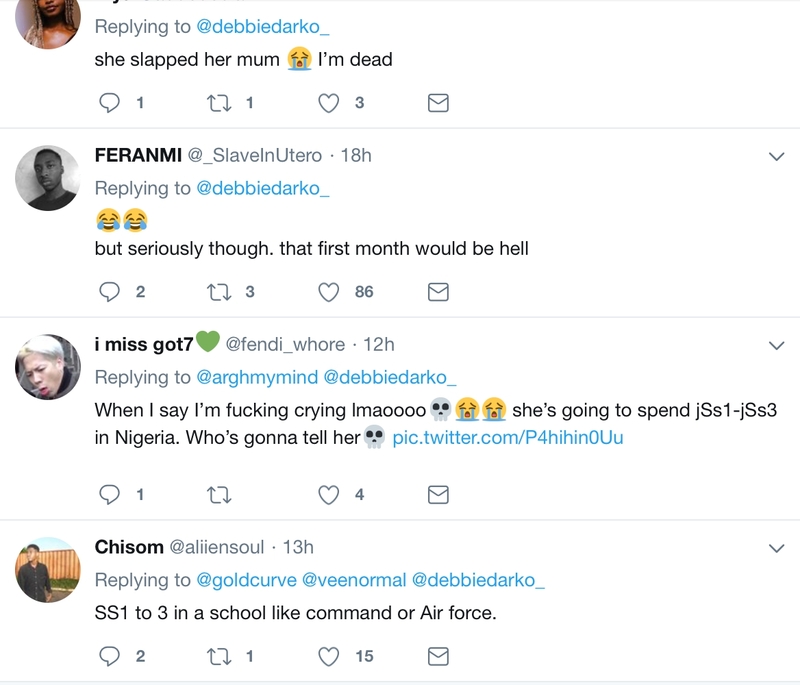 In a post that has now been deleted, a twitter user shared a video of a lady slapping her mother. 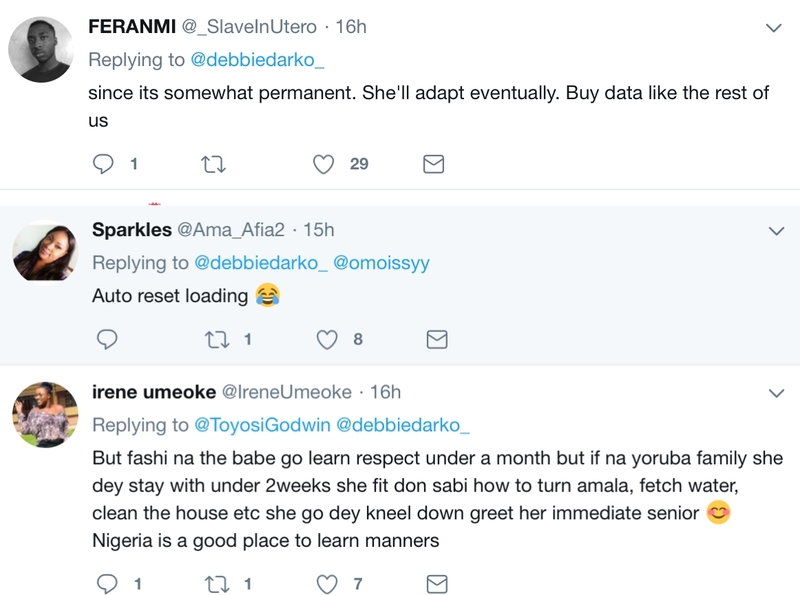 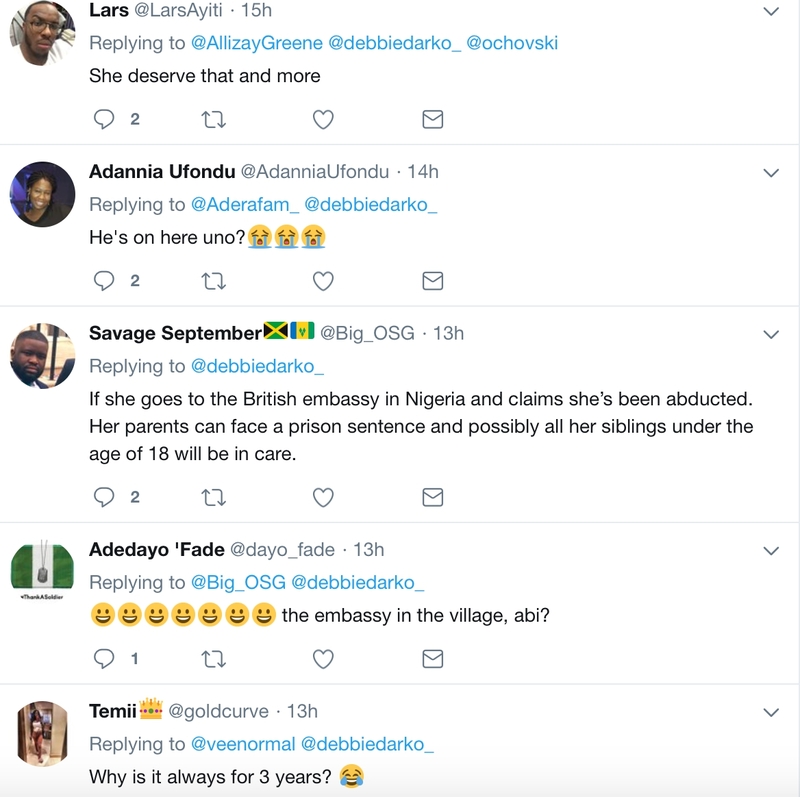 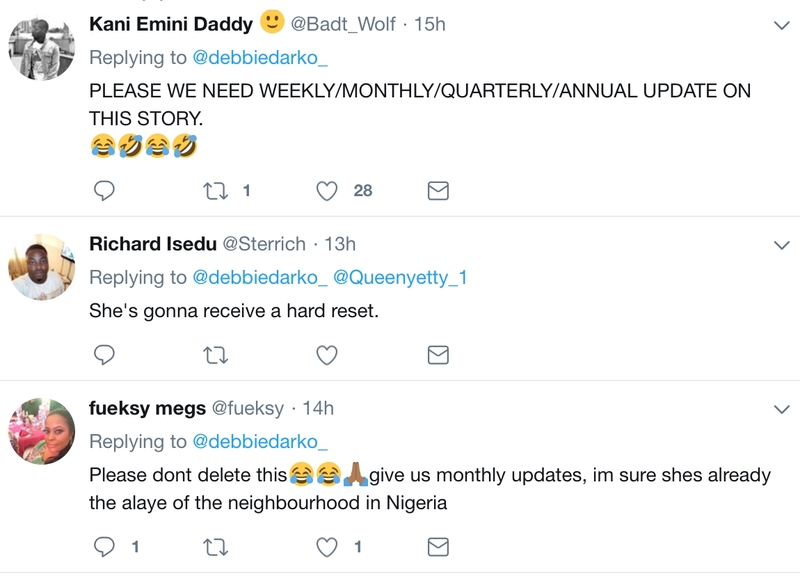 The twitter user, who is a relation to the lady shared a montage of the whole ordeal on her handle. 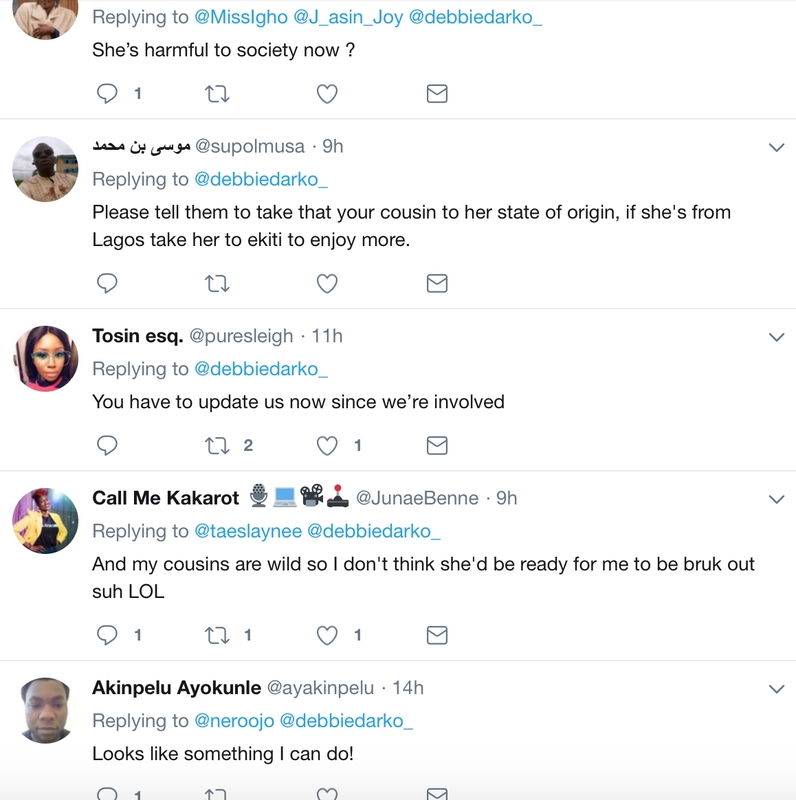 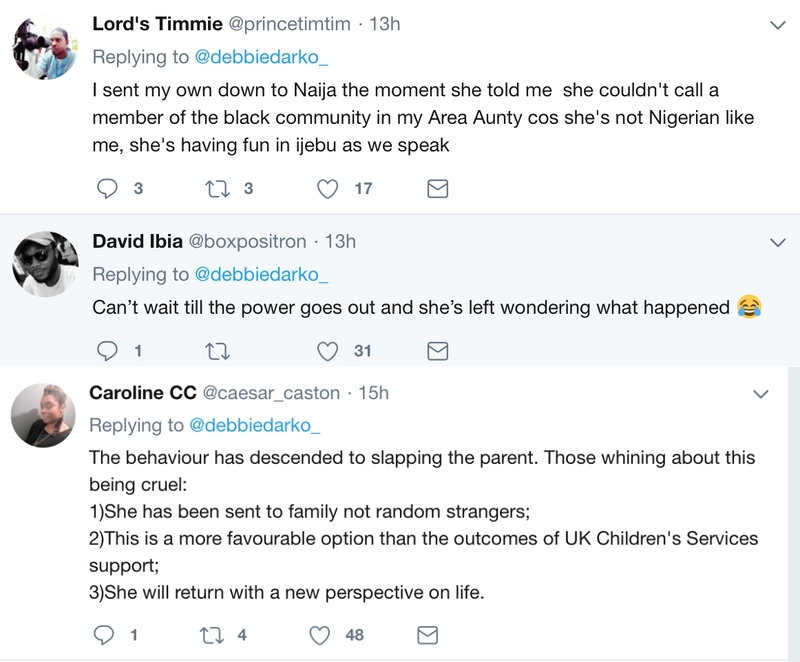 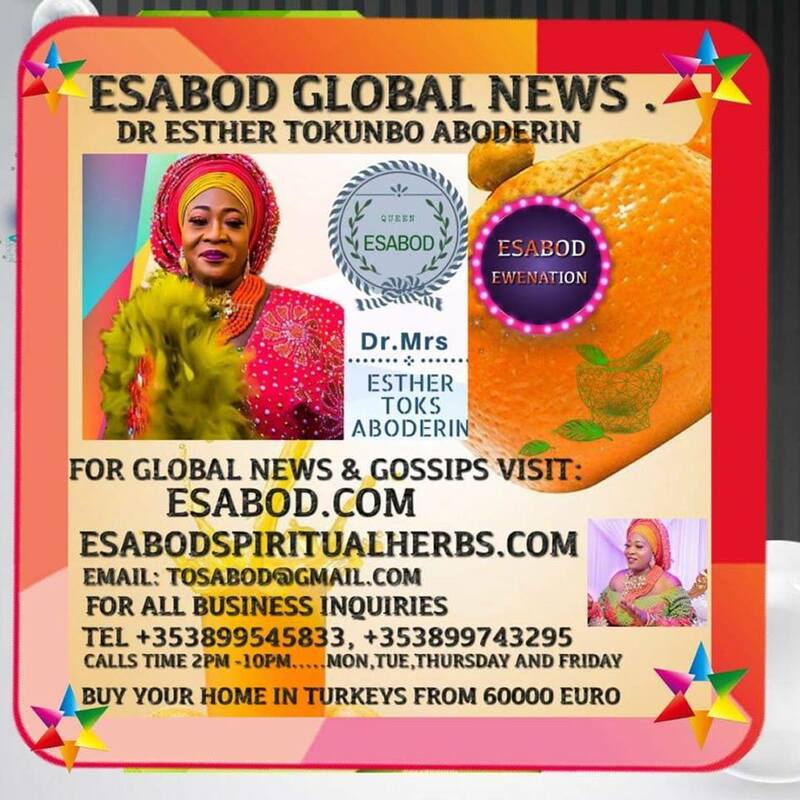 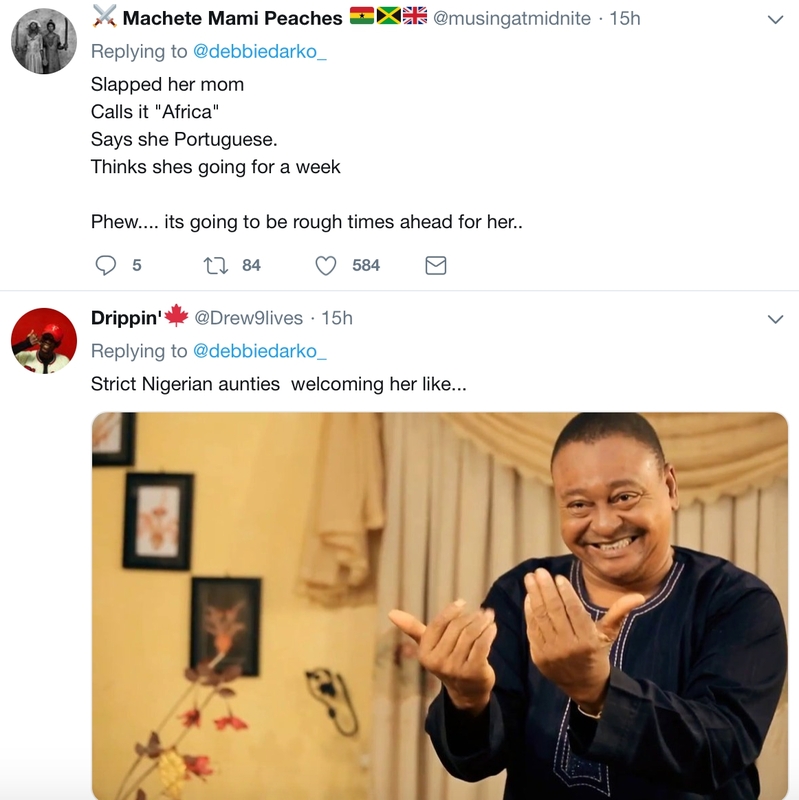 According to the twitter user, identified as King Deedorah, her cousin sister was sent to back Nigeria to stay a period of 3 years with her grandma without her prior knowledge. 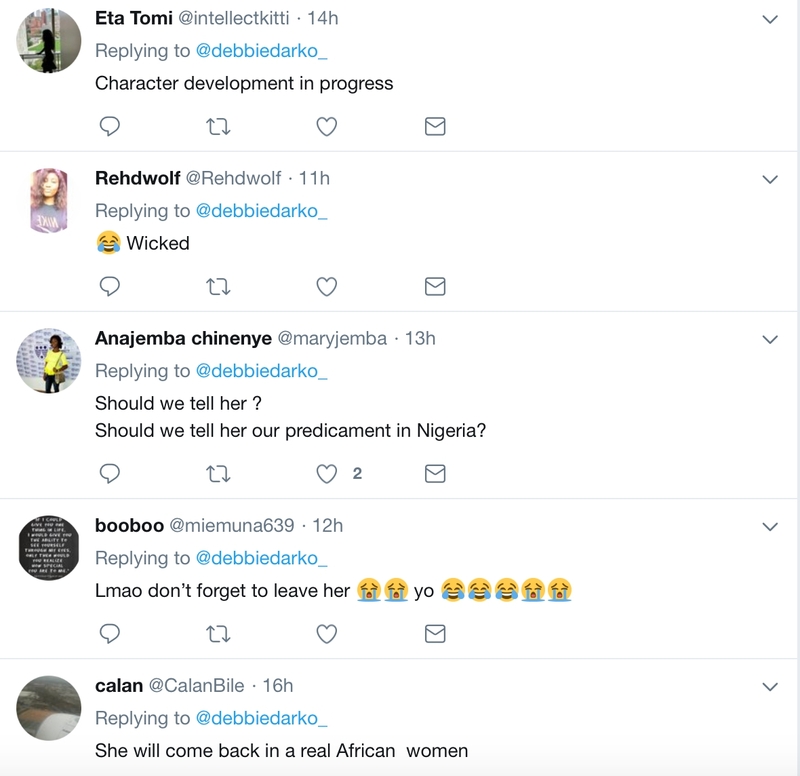 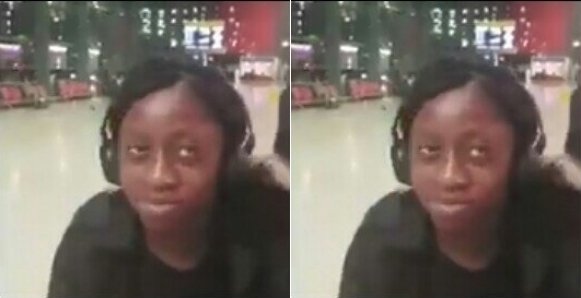 Nigerians who reacted to the montage, were so excited and willing to hear more updates of their incoming sister.